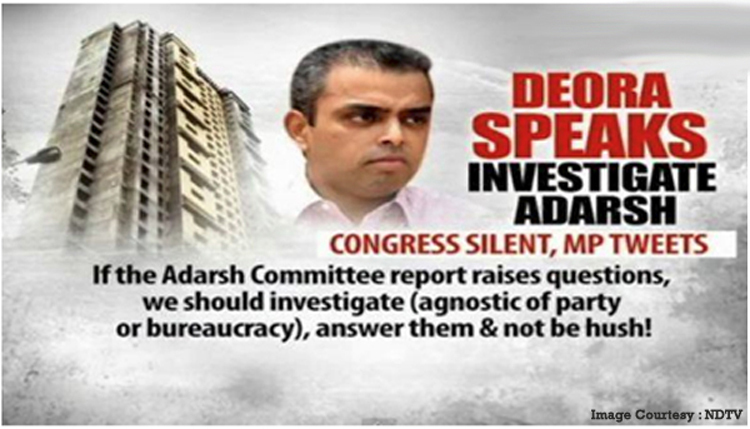 With regard to the Adarsh Housing Society Scam, Mr. Milind Deora took an independent stance by tweeting that the Maharashtra Government should have investigated and answered questions raised by the judicial commission of enquiry report on the scam instead of rejecting it. He reasonably suggested that the report be debated in the legislature despite the consequences such a move would have on all political parties concerned, including his own. Mr .Deora celebrated the passing of the much awaited Lokpal Bill and credited every Indian for this achievement. Following clearance by Lok Sabha in 2011, the bill came under the scrutiny of a select committee of Rajya Sabha before it was passed by the upper house on 17th December 2013. 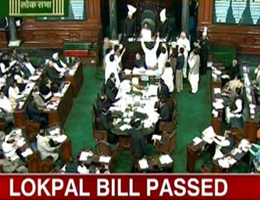 With the President’s assent and consequent legal procedures the bill will transform into the Lokpal Act 2013. While the bill will provide for a powerful national ombudsman to investigate misconduct in government, Mr. Deora said that the onus to kill corruption is on each one of us. Mr. Deora, along with Union Minister of State for Human Resource Development, Mr. Shashi Tharoor, visited the Vizhinjam project site in Thiruvananthapuram on 22nd December and held discussions with officials of Kerala state government and Vizhinjam International Seaport Ltd. After a detailed presentation by the port officials on Vizhinjam port, which is set to be one of India’s primary multipurpose seaports, will transform the country into a leading trans-shipment hub and will also serve as a tourist destination. In an effort to promote the maritime traditions of the state, Mr. Deora proposed to establish a heritage museum and an elevator as part of the Vizhinjam lighthouse tourism project that has been undertaken by the Directorate General of Lighthouses and Lightships (subordinate office under the Ministry of Shipping) in association with the Kerala State Industrial Development Corporation on public-private-participation model. Considering possibilities of cabotage exemption, Mr. Deora affirmed that Vizhinjam port will soon translate into reality. 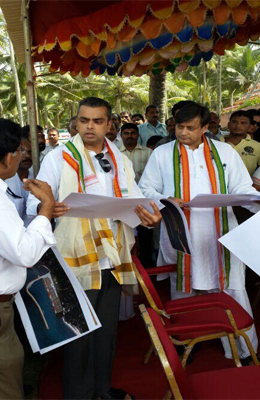 Mr. Deora also reviewed and evaluated the functioning of BSNL, C-DAC & India Post in Kerala. 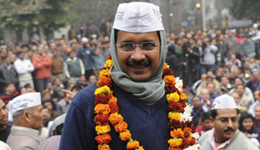 Mr. Deora congratulated Mr. Arvind Kejriwal on becoming the 7th Chief Minister of Delhi and wished him success in delivering on his election promises, reiterating that raised expectations among citizens entrusted the new Chief Minister with enormous responsibility to deliver. 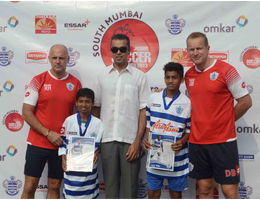 As part of the 5th Milind Deora South Mumbai Junior Soccer Challenger 2013, two youngsters Aman Gaikwad and Kamran Ansari were selected to train with the Queens Park Rangers Football team in England for three weeks. The winners were felicitated by Mr. Deora and are set to fly to London in April, this year. This championship is yet another initiative by Mr. Deora to identify and hone the athletic talent in deserving children from municipal and government funded schools in South Mumbai and has attracted over 5000 students since its inception in 2009. 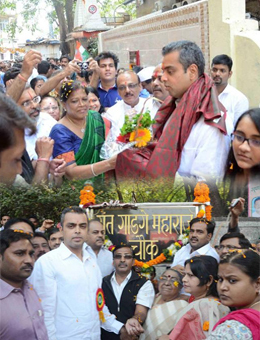 Mr. Deora inaugurated multiple public service initiatives as part of his regular constituency visits on 29th December. Starting with a free Cancer Detection Camp organized by Om Padmashali Seva Sangham and Indian Cancer Society, South Mumbai, he unveiled the Sant Gadge Maharaj Chowk named after one of Maharashtra’s most prominent social reformers at Cuffe Parade, later in the day. Various public works including water connections & ring wells in Machhimar Nagar and Colaba Market and a new drainage line for Mankani Mansion were also inaugurated by him. Mr. Deora has been working with civic authorities to rehabilitate residents of Ambedkar Nagar slum who were displaced by a recent blaze and is also persuading the Army to allow the Maharashtra Government to construct affordable homes for inhabitants of the Colaba Transit Camp. He visited both these sites to know more about people’s concerns.